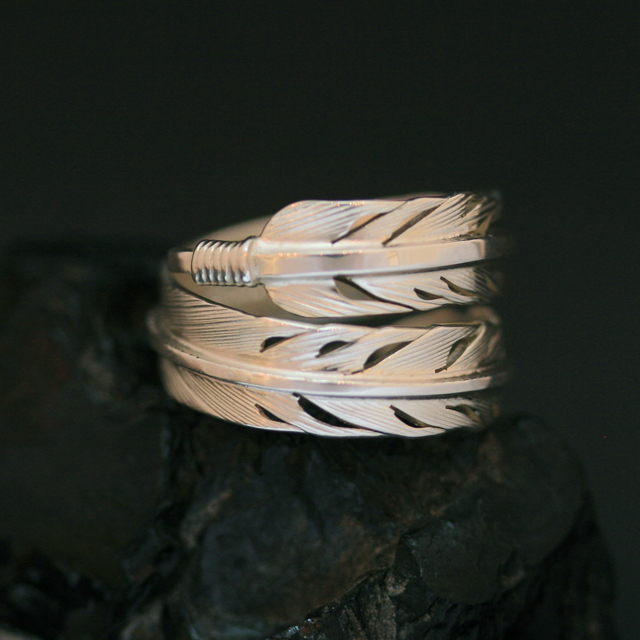 Harvey Chavez’s feather rings have become a Rainmaker classic. Each one is individually handmade and unique .Available in various sizes please contact the gallery to specify. Sterling silver feather ring handmade by Harvey & Janie Chavez, Kewa Pueblo, NM. Available in various sizes please contact the gallery. Harvey Chavez makes exquisite feather jewellery. 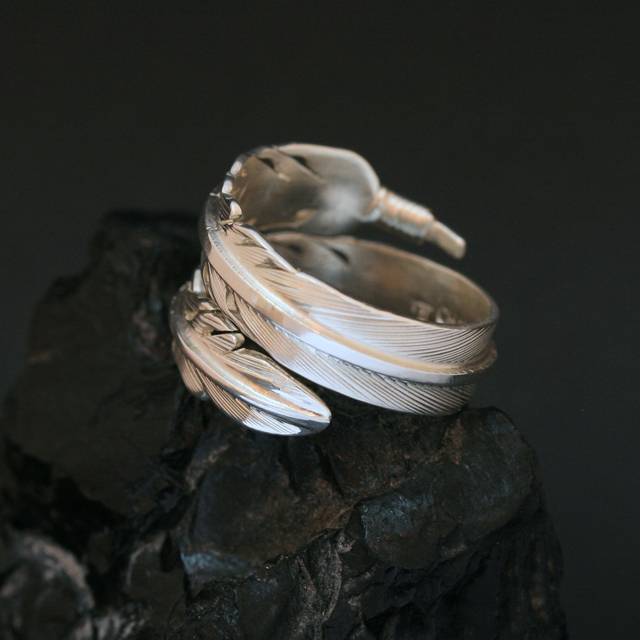 Each feather is entirely handmade, skilfully formed from sterling silver, each unique in size, shape and detail. 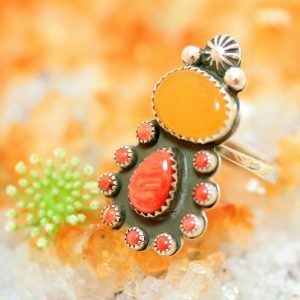 Every line is individually stamped using a homemade stamp and each feather is carefully shaped, polished and signed. As well as feather necklaces Harvey and his wife Janie make feather bracelets, rings, feather earrings, feather pendants, brooches, hair clips and bolo ties. Each feather is signed with the makers mark. 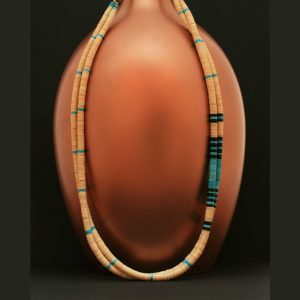 Harvey Chavez is a member of the Kewa Pueblo tribe in Northern New Mexico, USA. 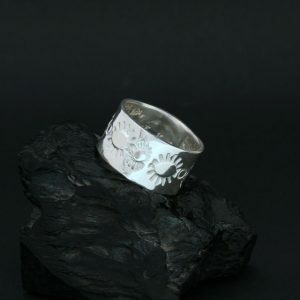 The Chavez family have been making jewellery for Rainmaker Gallery for over twenty five years. We are honoured to bring you the beautiful work of this talented family.